First published in 1974, this book presents a coherent collection of major articles by Richard Stanley Peters. It displays his work on psychology and philosophy, with special attention given to the areas of ethical development and human understanding. The book is split into four parts. 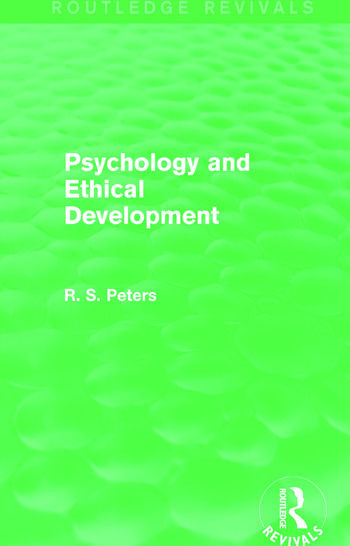 The first combines a critique of psychological theories, especially those of Freud, Piaget and the Behaviourists, with some articles on the nature and development of reason and the emotions. The second looks in historical order at ethical development. The third part combines a novel approach to the problem of understanding other people, whilst the fourth part is biographical in an unusual way. The volume can be viewed as a companion to the author’s Ethics and Education and will appeal to students and teachers of education, philosophy and psychology, as well as to the interested non-specialist reader.